Be it the scratch of the needle or the warm hum radiating from your favourite album – vinyl, simply put, sounds and feels better. There is something tangible and lasting about owning and listening to physical piece of music. It’s a little like a good book when you think about it. With that in mind, the House Of Marley Stir It Up Turntable is sustainable in both its materials, and its legacy. Many say that the vinyl sound has a ‘feel’ to it. The Stir It Up is powered by a smooth, replaceable Audio-Technica MM cartridge that enhances ‘tonal distortion’ – this is what gives vinyl a warmer sound. Like a record, the SIU is a HOM collectable, featuring a built in preamp that allows the user to connect to any House of Marley speaker, for unparalleled compatibility and aesthetic unity. In-keeping with the essence of Bob Marley’s vision for the earth, the Stir It Up is built upon the foundations of his environmental ethos. 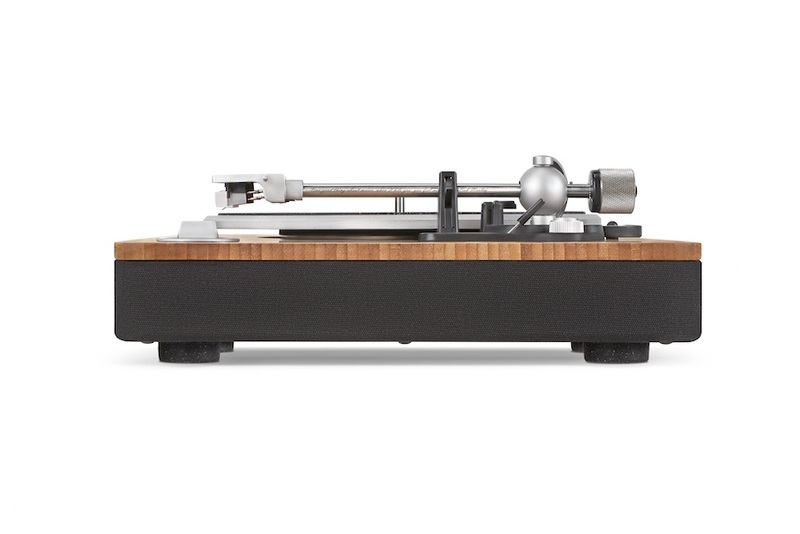 Understated and classic, this turntable boasts vintage aesthetics with a sustainably sourced bamboo plinth and sturdy recyclable aluminum alloy platter. To top it off, the Stir It Up Turntable features an earth friendly RegrindTM silicone pad and RewindTM fabric trimmings made from hemp, organic Cotton and 40 Recycled Plastic Bottles. For the DJ’s; the House Of Marley Stir It Up can record straight from USB to PC, for hassle free gigging and recording. This is coupled with a front facing 3.5 headphone jack suited to both in-ear and over-ear headphones, as well as a Universal AC adapter for total convenience. 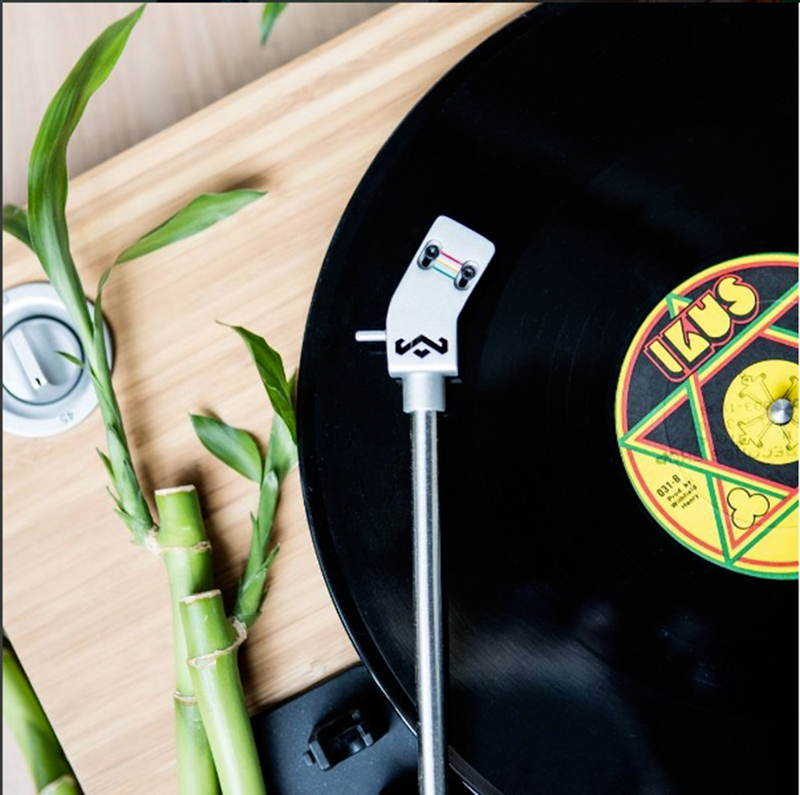 Whether you jam to the classics or the fresh hits, The House Of Marley Stir It Up Turntable will enhance the brilliant sound that comes with vinyl. It is a must have for passionate music lovers.